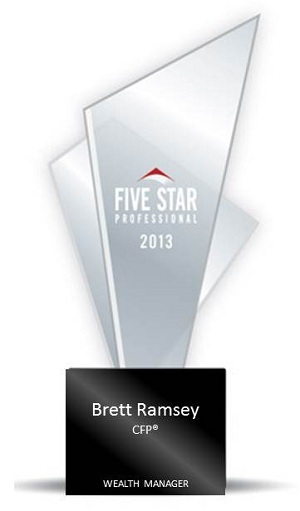 Financial Advisor Brett Ramsey of Novus Wealth Advisors has been honored with the 2013 Five Star Wealth Manager Award. Novus Wealth Advisors was selected for this award because of their proven quality service. We here at Novus Wealth Advisors look forward to continuing to provide outstanding service to our present and future clients. Novus Wealth Advisors is a branch office of and Securities offered through WFG Investments, Inc., member FINRA & SIPC.